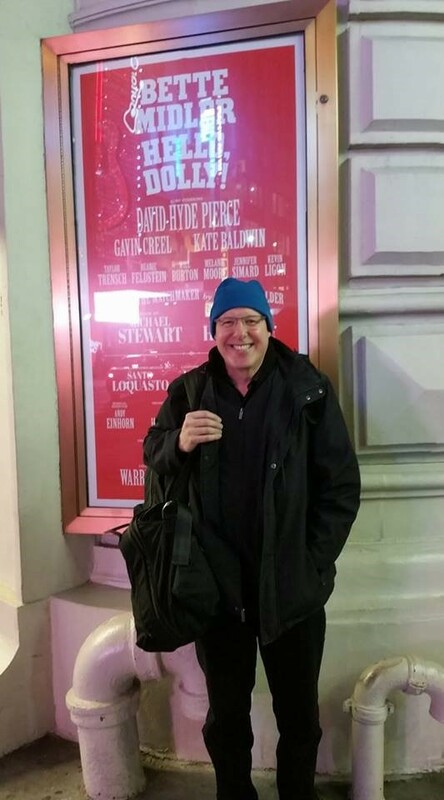 NEW YORK CITY – Mark Blackman, ArtsPower’s Founding Co-Director, performed in the pit orchestra of Broadway’s HELLO DOLLY on Saturday evening, November 11th. He played the Reed 1 book (piccolo, flute, alto saxophone, and clarinet) as a substitute for Steve Kenyon, the talented, multi-reeds performer and Broadway pit orchestra veteran. Mark and his twin brother Gary, who co-founded ArtsPower, had seen 40 Broadway shows by the time they graduated high school, often requesting backstage tours after they saw performances.